This issue started around 24 hours ago, or that was the last time I was able to connect with W2BN. It has started hanging on Checking Version. I've tried switching IP addresses and BNLS servers but it keeps hanging. 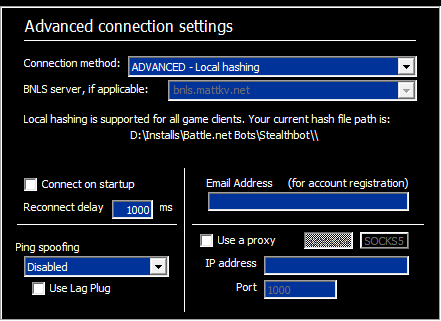 If I leave all the settings the same (useast.battle.net & bnls.mattkv.net) and switch to a D2 key, the bot will connect just fine. I was previously on build 482, bu have updated to 490 and the problem still persists. [06:49:56 AM] All connections closed. Can you send me a packet log? I've sent you a PM with the log. This should be fixed now on the BNLS side.